This article was written on the occasion of Inernational Yoga Day. IT was published in one of the newspaper in Kenya. The word Sattvic is derived from the Sanskrit word Sattva which means pure, essence, nature, vital, energy, clean, conscious, strong, courage, true, honest, wise, rudiment of life.” Sattvic diet emphasizes food and eating habits which promote, maintain or restore a sattvic state of living. It is pertinent to remember that the food we consume falls under any one of the three categories namely Sattvic, Tamasic and Rajasic. Food and drinks that have a destructive influence on the mind and body are classified as Tamasic while those foods that neither lead to better health nor prove to be destructive fall under Rajasic. Hence a Sattvic diet is also known as Yogic diet. This includes seasonal foods, fruits, dairy products, nuts, seeds, oils, ripe vegetables, legumes, whole grains, and non-meat based proteins. Seasonal foods, fresh and naturally sourced, well prepared and freshly cooked are recommended. 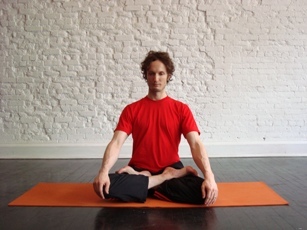 Moderation is the key in Yoga. Vegetarian food procured without harming other living creatures is hence recommended. All the six flavors are important and are preferably present in the Sattvic diet as each is vital for sustenance. Today doctors and dieticians recommend that the food pyramid be followed with a wholesome diet that can provide nutrition from all quarters, carbohydrates, proteins, minerals and vitamins. They also advise that a diet that is vegetarian certainly helps in reducing many lifestyle diseases which was advocated by our ancient seers. It is not what we eat alone that matters but how we eat too contributes to our well being. Eating should not be a rushed, matter of fact chore to be over and done with. 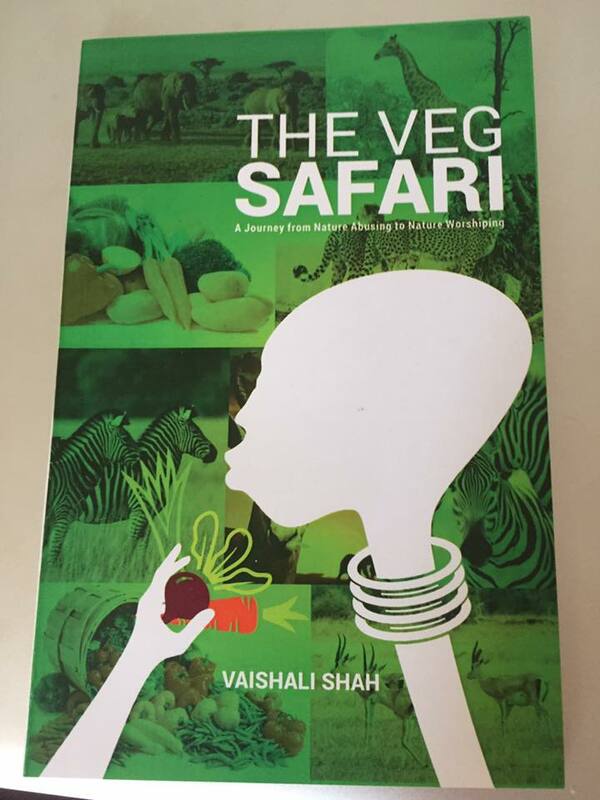 The act of eating itself is an offering to the Vaishwanara or the divinity that is there within each one, hence it is considered to be akin to a yagna. Sattvic diet is light, easy on the stomach, refreshing and does not contribute to mental agitations. When prepared and served with love, it creates harmony and balance in the human body. This article was published in a Souvenir distributed by Hindu Council of Kenya at the event of Vibrant Kenya in January 2015. Hinduism known as Sanathana Dharma or Law Eternal is a way of life and has been in existence since the timeless beginning. The word Sanatana means ancient; it also means eternal or everlasting. Hence the word Sanatana is defined as that which is old and at the same time ever new. God is called the Sanatana Purusha, the Primeval Being, the One who has no beginning. It is ancient yet ever fresh, ever relevant transcending time and age. The people who had inhabited the land, which is called Bhaarat, Hindustan or India since thousands of years constituted a society, which is very ancient (Sanaatana). The way of life they had evolved came to be known as Sanatana Dharma. The religion has its roots in the Vedas which are believed to have originated along with the dawn of creation. 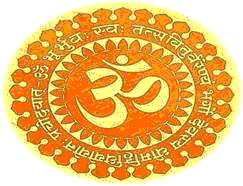 Hence Hinduism is also referred to as Vaidika dharma or Vedic religion. Vedas are the oldest authoritative scriptures of Hinduism. Vedic knowledge is based on divine assertions received by ancient seers in their metaphysical state. They were in a state of communion with the divine when the highest knowledge was revealed to them as they undertook severe penance for thousands of years. This was passed on to their disciples in an oral tradition. Vedic knowledge was thus transmitted to generations of men by word of mouth. The written tradition began after Europeans discovered the grandeur of the mystic, mysterious East. Thus began a history of recording these sacred utterances. Yet what is available today sadly is a fraction of the original. Even this has not been explored to the fullest; such is the depth of the content contained in the Vedas. The Vedas deal with a variety of subjects from the mundane to the lofty. There is nothing that has been left uncovered for the Vedas deal with all subjects- astrology, astronomy, architecture, medicine, art, music, dance, martial arts, yoga, food, health, poetry, literature and the list goes on. There are hymns and mantras for every occasion and every ritual. 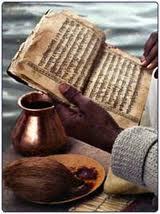 The valuable knowledge disseminated by the Vedas is not for any particular region, religion, people, period or place. It is universal and transcends all barriers. That makes its relevance eternal. They are authentic and fool proof as many scientific studies conducted on the theories propounded in these Scriptures show us. Veda was an undivided mass in the beginning. It was divided into four parts by Maharshi Veda Vyaasa to suit Kaliyuga-, in view of the short lifespan and depleted mental capacities of human beings. They are: Rig, Yajur, Saama and Atharva. He taught them one to each of his disciples Paila, Vaishampaayana, Jaimini and Sumanta and commanded them to propagate. They taught the sections entrusted to them to their disciples and thus Vedas are preserved by oral tradition, from teacher to pupil through generations. This system of propagation is called Guru Paramparaa. By this system not only the text of the Vedas, but also the intonation of various syllables of the hymns are passed on from generation to generation. The Rigveda consists of hymns in praise of the gods (lustrous beings like sun etc.) in the heavens and is the main book to Mantras. It begins with a Sookta to Agni (Fire) and concludes with a Sookta to the same deity. It contains 10 Mandalas or books with 1028 hymns or Sooktas. There is another division of Rigveda by which it is divided into 8 Ashtakas with 94 chapters (Adhyaayas) and 2009 Vargas. The total number of verses in Rigveda is 10,580. The Yajur Veda is classified into Krishna (black) and Shukla (white) recensions. The Yajur Veda contains mainly sacrificial formulae in prose and verse to be chanted at the performance of a sacrifice. The Samhitaa of the Shukla Yajur Veda is also called ‘Vaajasaneyi Samhitaa’. ‘Vaajasani’ is one of the names of the Sun god. The last chapter of Shukla Yajurveda is the most important ‘Isa Upanishad’. The Saama Veda consists mostly of verses from Rig-Veda, set to music for singing during the sacrifice. It is a collection of Mantras meant for ‘Udgaata’ priest. There are 1549 Richas in Saamaveda and only 75 of them are independent of Rigveda. Atharva Veda presents three types of sacrifices – ‘Shaantikam’ for peace, ‘Paushtikam’ for strength and ‘Aabhichaarikam’ to cause injury to enemies. Atharvaveda is also called Atharvaangirasa Veda. i.e. the fire priests Atharvan and Angiraa, both the words meaning tracing of magic formulas and magic spells. Atharvan is sacred and auspicious magic pertaining to peace, health, wealth, affection and protection in family whereas Angirasa means hostile magic relating to curse to enemies, exorcism of evil spirits and ghosts etc. Atharvaveda consists of 20 Kaandas, which contain 739 hymns and approximately 6000 verses in prose and also in poetry. After the passage of a long time, when understanding Vedas became difficult, Vedaangas came into being to explain the true meaning of Vedas. There are six Vedaangas- 1. Shikshaa 2. Kalpa 3. Vyaakarana 4. Nirukta 5. Chhandas and 6. Jyotisha. Shikshaa: This is the science of proper articulation and pronunciation. The prime one among Shiksha books is the famous Panineeya Shikshaa. Kalpa means the science, which stipulates the rituals and justifies the small differences of sacrifices in all branches of the Vedas. Vyaakarana is grammar. It is the most important of the six Vedaangas. It clarifies the construction of words and syntax in complications of Vedic language. The author of Vyaakarana (Ashtaadhyayee) is Paanini belonging to the Third century BC. Nirukta deals with etymology of difficult Vedic words. Yaaska is said to be the trustworthy author of this science. The science of versification is known as Chandas Shaastra (Prosody). This was done by Pingala Naagaacharya. There are seven Vedic metres. They are Gaayatri, Ushnik, Anushtubh, Brihatee, Pankti, Jagatee, Trishtubh and Jyotisha. (Astronomy). This deals with the calculation of the movements of various planets, occurrence of eclipses, intercalary months etc. This is considered to be the eye of the Vedas among the Vedaangas because Vedic austerities are to be performed exactly at the prescribed points of time. Aachaarya Lagadha wrote Vedaanga Jyotisha, which consists of seven chapters. The later portions of the Vedas are known as Vedanta. This is known as Jnana Kanda or repository of knowledge while the earlier portion was karma kanda or catechism of rituals. The Jnana Kanda portion consists of Aranyakas and Upanishads. The most important of the Upanishads are Isa, Kena, Katha, Prasna, Mundaka, Mandukya, Aitreya, Taittriya, Chandogya and Brihadaranyaka- a total of ten in all. The Upanishads, Brahma Sutras and the Bhagawad Gita form the Prasthana Thraya, the primary three scriptures of Hinduism while our epics, Ramayana and Mahabharatha, Puranas , agamas, darsanas all expound the glory and character of Hinduism in different ways. The colorful and complex world of Indian mythology is another delightful aspect of Hinduism and has been explored by many authors, traditional and contemporary. The Isavasya Upanishad, one of the primary scriptures of Hinduism says Isavasyam idam sarvam that is this whole world is pervaded by god. The Rig Veda extols –Ekam sat viprah bahudah vadanti that is, Truth is one, the wise call it by many names. Hindus believe in one Supreme Godhead called Brahman who is impersonal without form, shape or attributes, who is omnipotent, omnipresent and omniscient. He transcends time and space and he can be worshipped as the Supreme consciousness or Paramatma, as Light or Love. When God is viewed as a Personal Being he is called variously as Iswara or Bhagawan. He manifests as an image or Murti, idol or icon, which is viewed as a personification of Divinity. God is invoked through mantras, rituals, chants, Pujas, bhajans, songs etc, in short anything that lets a devotee tune in to thoughts of divinity and helps him focus his mind. He is worshipped out of love not fear. This is the most unique aspect of Hinduism. His glory cannot be fathomed though we get glimpses through the outpourings of His saints and devotees. Thus a personal god helps a worshipper to easily comprehend and connect with the otherwise inscrutable, incomprehensible Supreme. These forms are many and a devotee is free to choose his favorite deity or Ishta Devata. In short there is a whole range of Divine Operating System in this universe and thus we see many gods in the Hindu Pantheon. The Trinity comprising of Brahma representing Creation, Vishnu for Preservation and Shiva for Dissolution, the Feminine or Shakti aspect represented by Mother Goddesses like Durga, Lakshmi, Saraswati and the various Devatas like Ganesha, Subramanya along with many more comprise the Hindu galaxy of Gods. And then there is the highest philosophy propagated in Hinduism I am God- Aham Brahmasmi. For we are no different from the supreme consciousness and when true realization dawns we break free of the fetters and realize that we are that Supreme godhead ourselves. So it is important to understand that Hinduism cannot be typecast as a particular belief system- like monism, theism, monotheism, polytheism, pantheism etc. Perhaps that is the reason why the Vedas found it easy to describe god in a unique negative way neti neti- not this not this for he is this and much more. So like the anecdotal seven blind men who described the mighty elephant, we can aspire to describe the infinite primordial without any success. Hinduism is the only religion that is so diverse in its theoretical premise that finds practical expression in myriad ways so as to suit the times and the ages. It is a live, vibrant religion that provides space for plurality of belief and expression. www.indianscriptures.com is one of such websites which has explored the knowledge of scriptures and presented them in easy to understand format for the readers. The site is promoted by Shrivedant Foundation, a non-profit foundation is dedicated to spreading the message of Vedic Literature. It was founded by Smt. Vaishali Shah in 2001. www.indianscriptures.com is a unique one stop portal where material relating to our religion is available to all seekers. The information is genuine, authenticated and contributed by learned scholars, renowned gurus, earnest writers and established institutions. The site is a treasure-house of knowledge to all who visit it. Many Indian Scriptures in digitized format are uploaded on the portal. It is the first website to have all Indian Scriptures like Vedas, Puranas, Upanishads, Itihasas, Upapuranas, Brahmangranth and many other original texts in digital form from various schools of thought. The site is informative and there are about 38000 pages filled with enriching, unique content in their original form. There are more than 300 original Scriptures in Sanskrit, Hindi and English about Hinduism, Sikhism, Buddhism and Jainism. Readers can also download original scriptures for free.